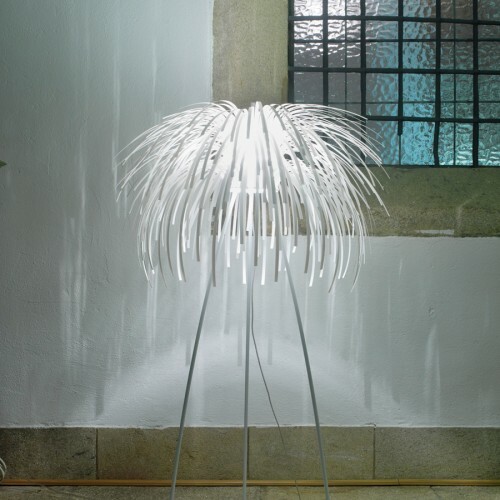 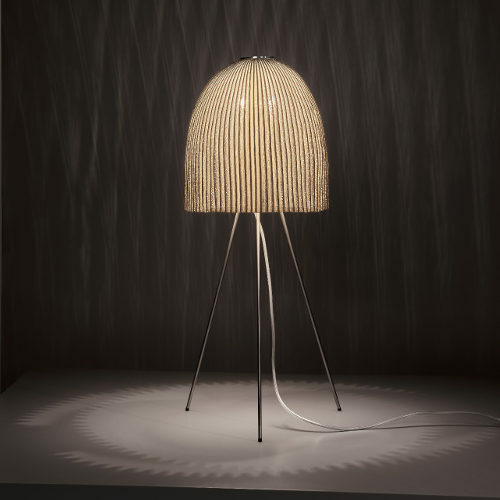 In arturo alvarez, experimentation and research result in lamps with avant-garde and contemporary designs. 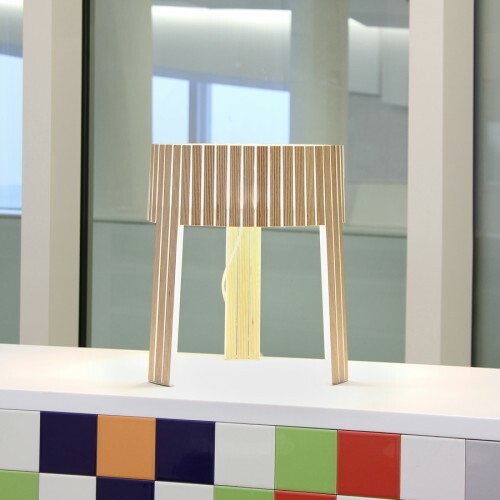 Through the transformation of high durability sustainable materials, we can customize our designs and turn them into masterpieces. 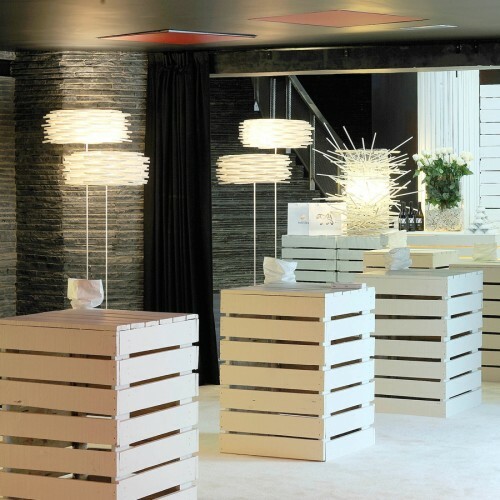 Our lamps can adapt to any space creating lights and shadows that will offer you an experience. 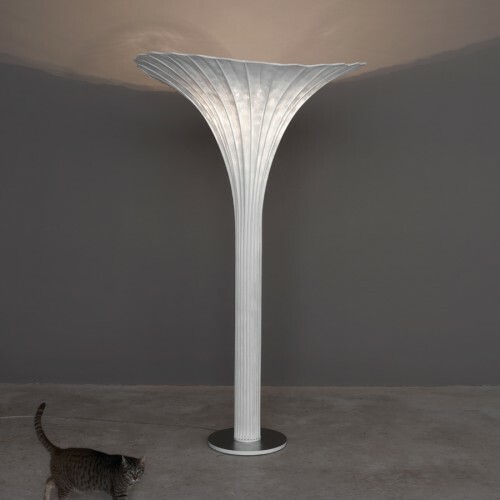 Africa is a lush floor lamp, with an impressive height and sculptural volume. 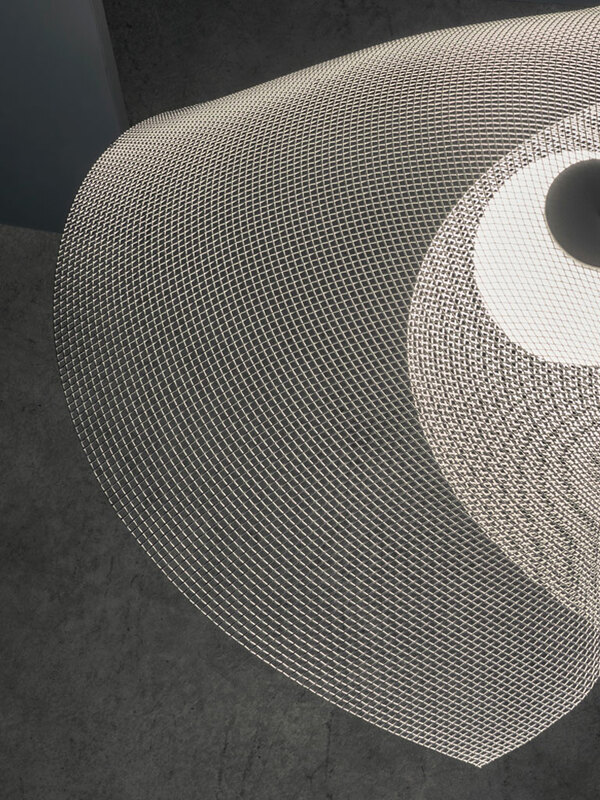 Its firm and smooth skin, made of painted stainless steel mesh, lets the light escape rising like a beam, all the way up the conical structure, expanding completely at the top. 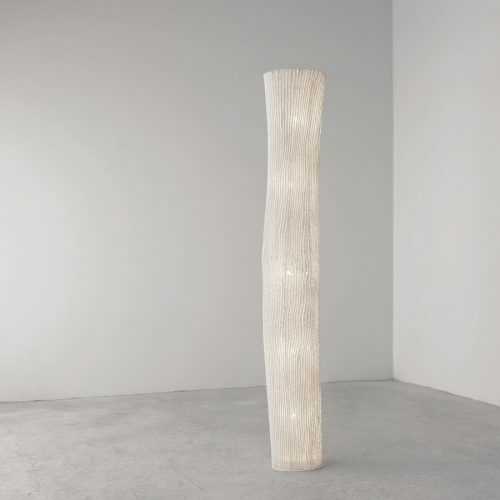 A slender presence, reinforced by the vertical lines that plow through it. 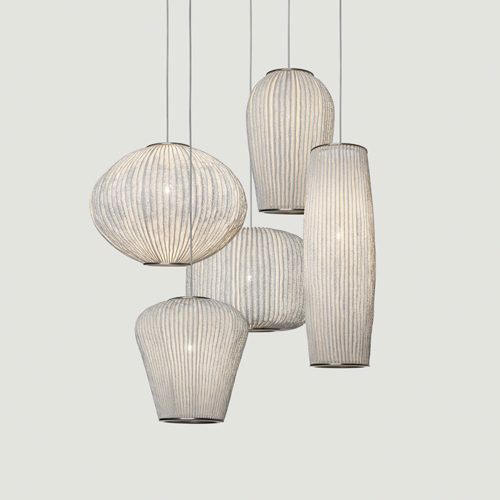 Inspired in the beautiful arches of Santiago de Compostela, this collection is a personal tribute to the ancient artisan masters of the city. 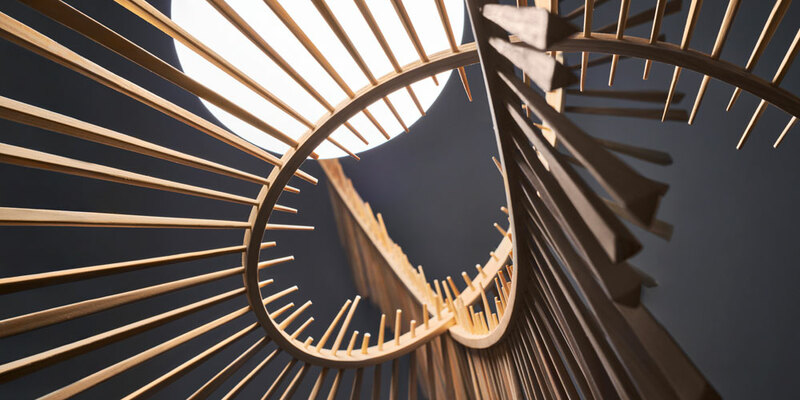 The pieces are formed by two crossed arches that contrast their huge architectural volume with the smoothness of the Japanese cord that wraps them. 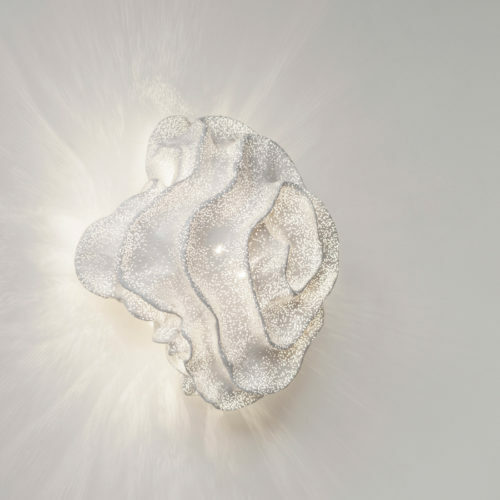 The LED light that runs through them from side to side remains faded in a uniform and elegant way, generating authentic light sculptures. 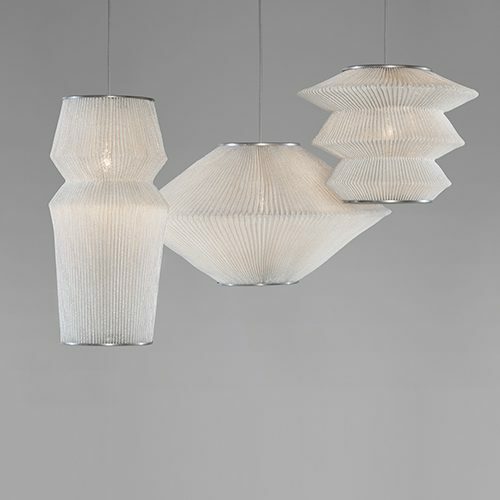 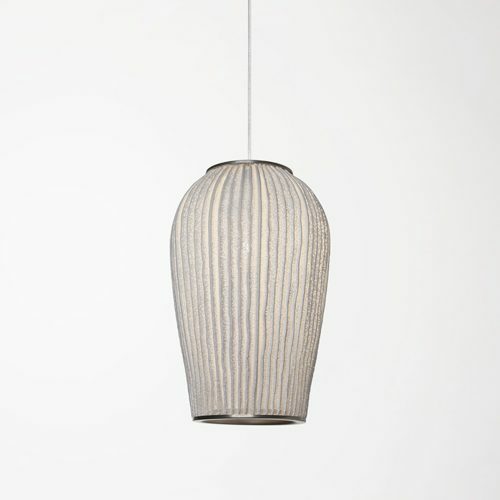 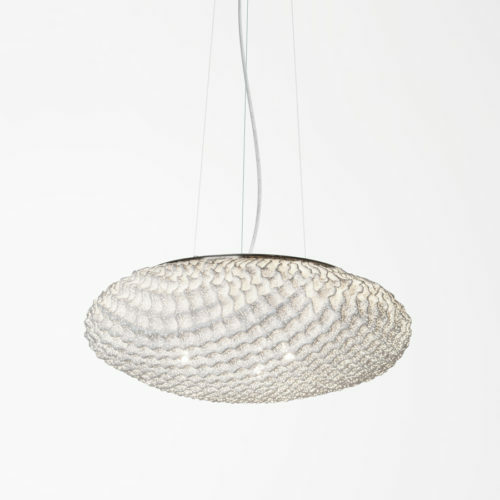 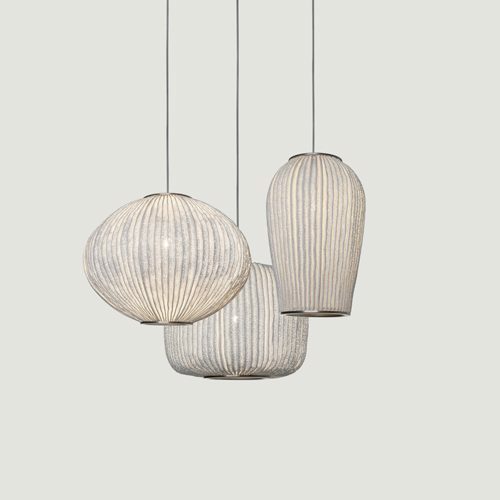 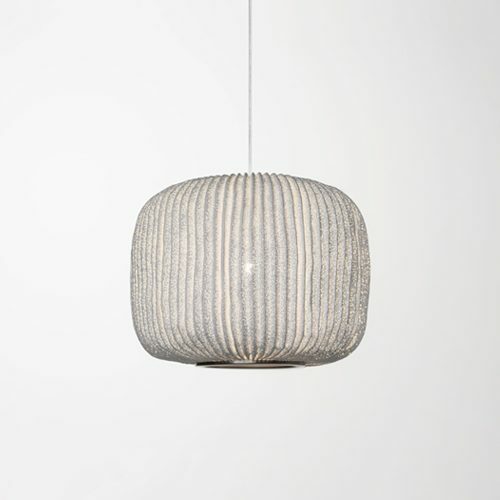 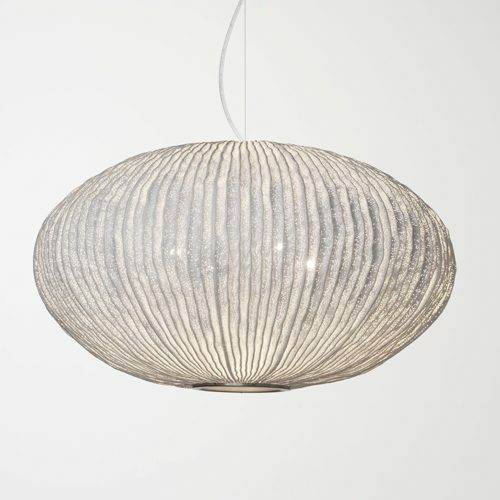 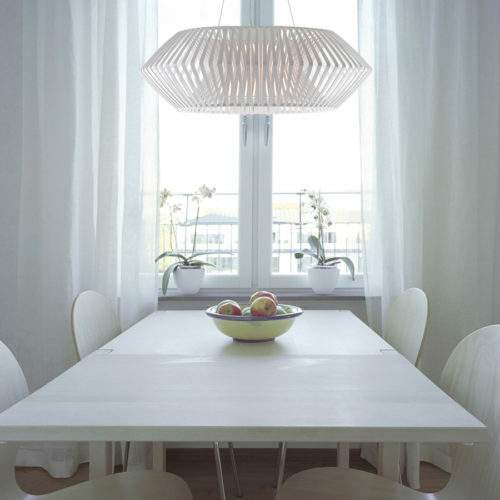 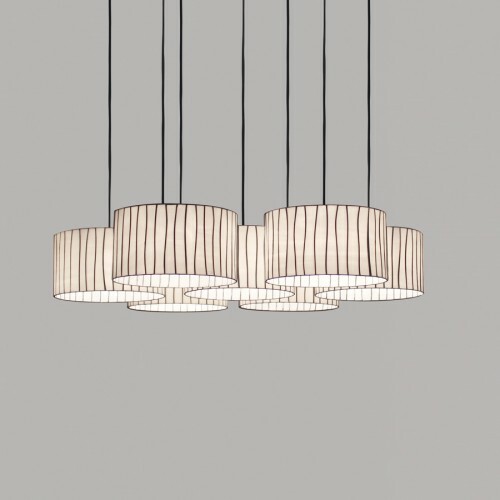 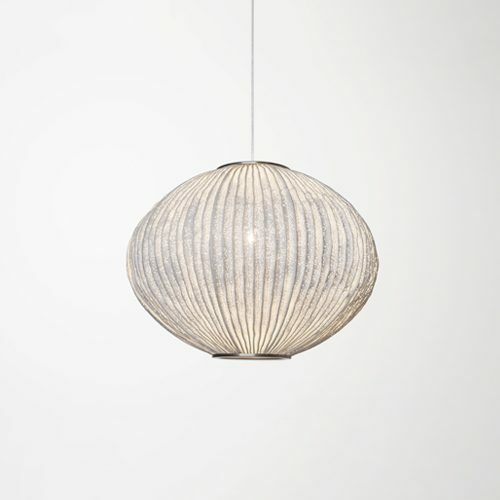 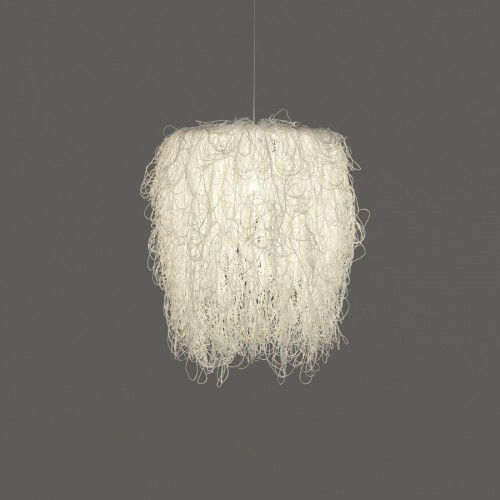 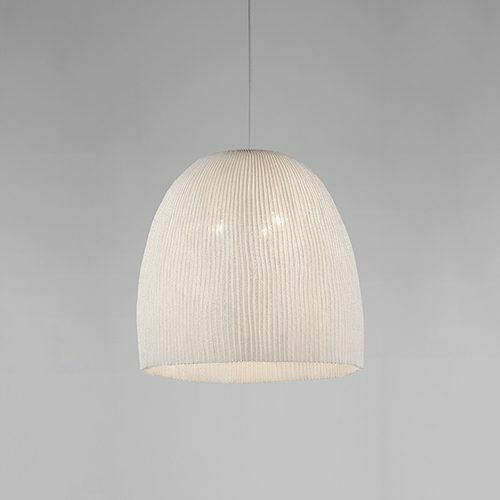 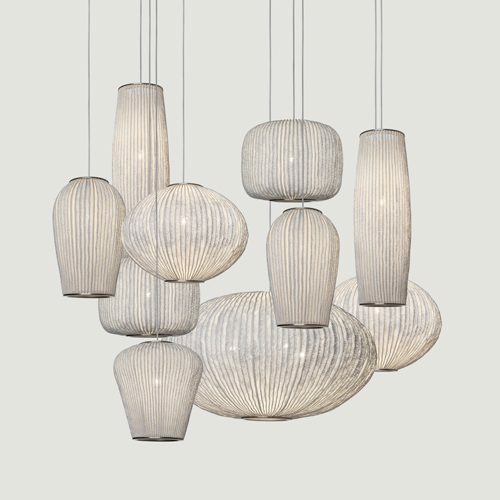 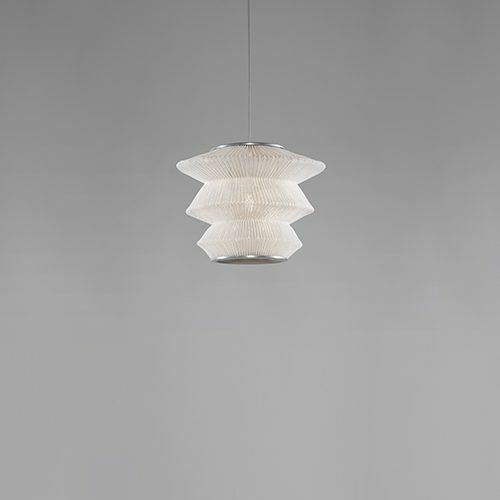 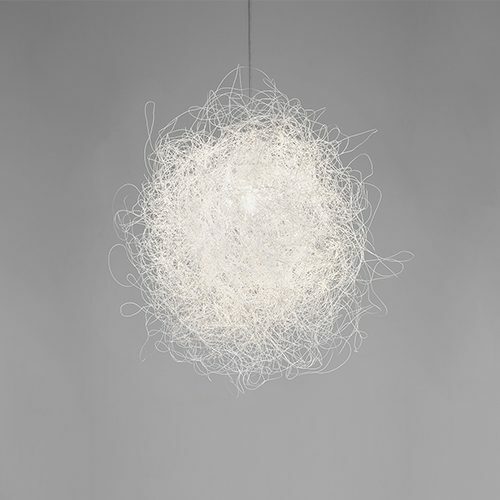 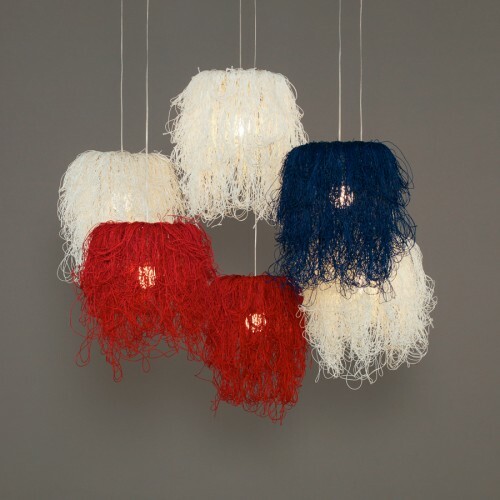 The lamps of this collection are made with polypropylene strips that are crafted from a central sturcture, recalling the traditional basket-making techniques, generating voluminous but light compositions of suspended rings. 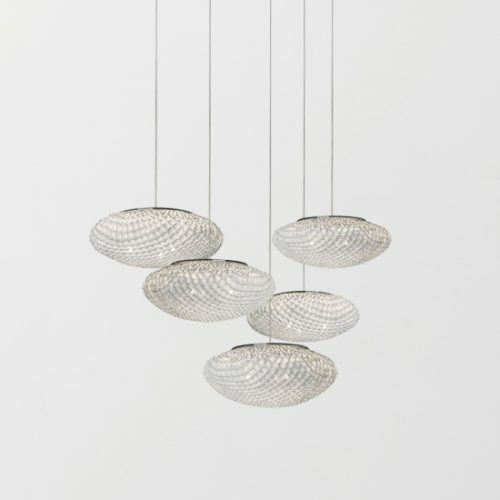 The light filters between them creating a beautiful play of lights and shadows, marking the orbits of what seem celestial objects in constant movement. 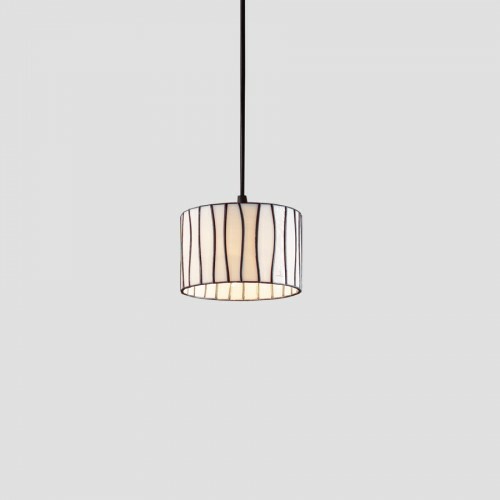 A light lamp, in spite of its apparent complexity, that invites us to spin around with it in a perpetuate dance. 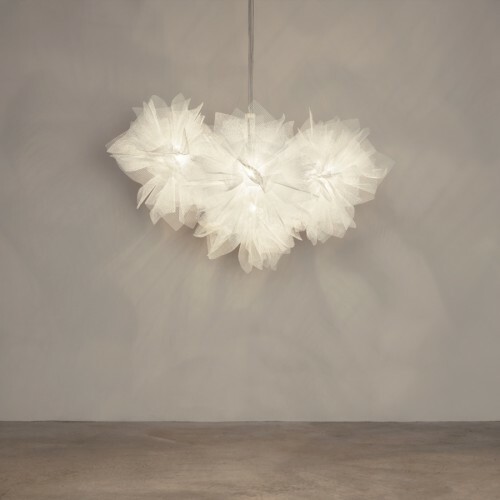 Ballet is a collection created from the experimentation with painted stainless steel mesh. 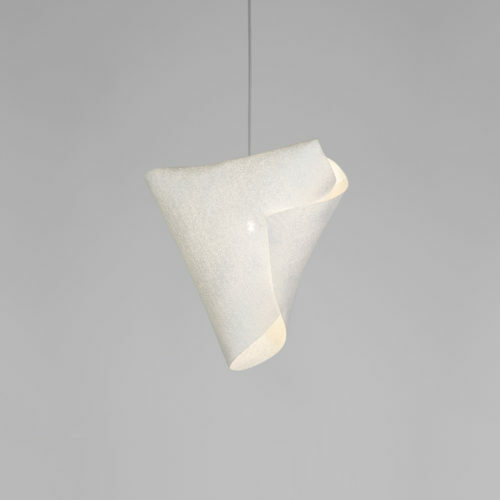 Its shapes are formed by the superposition or gathering of its vertexes, allowing freedom for the own flexibility of the material. 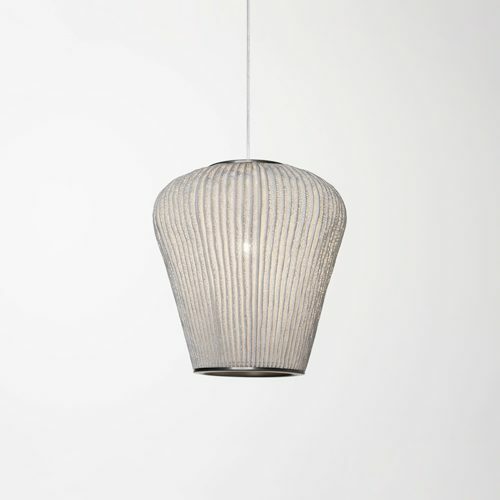 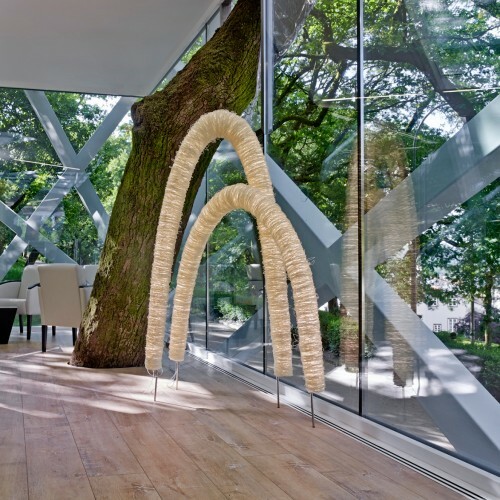 The resulting volumes are fluid and natural due to the tension of the painted stainless steel mesh. 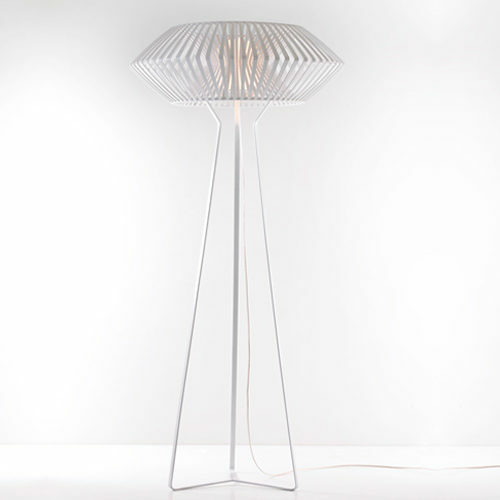 Its asymmetry makes its forms change depending on the point of view. 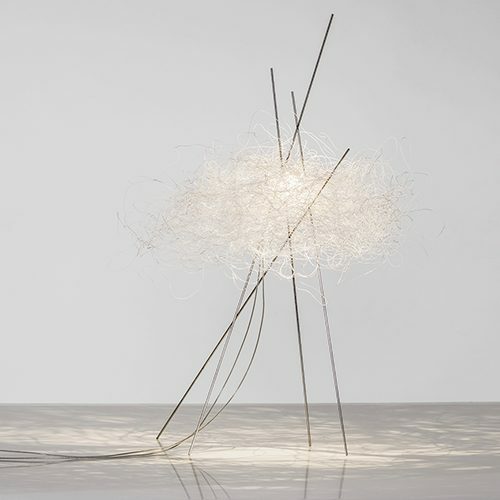 Plié, Elancé, Relevé…a constant dance of light and shadows. 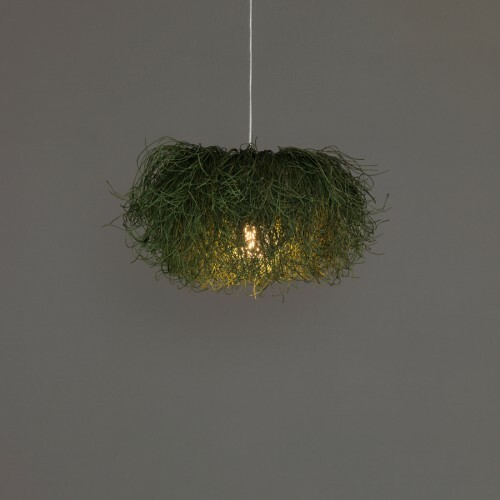 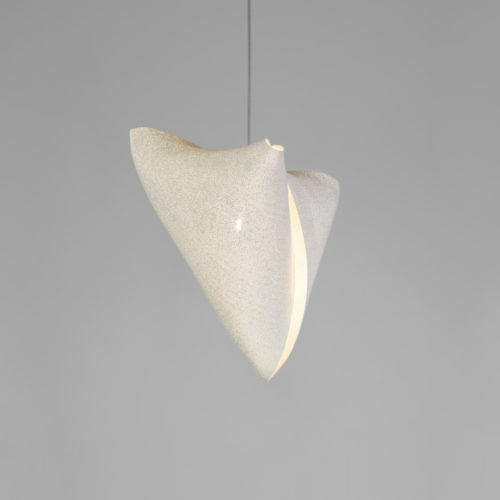 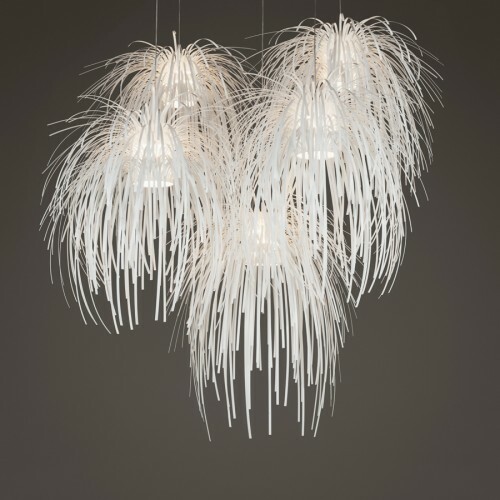 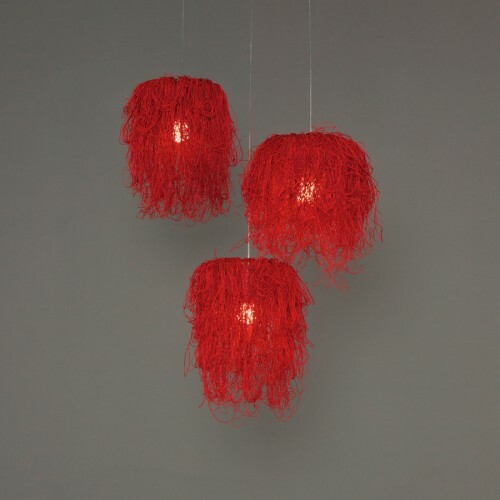 Organic looking pendant lamps, inspired by the beauty of coral reefs. 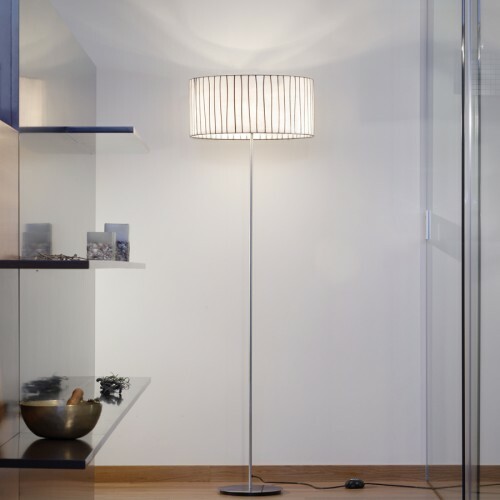 The models of the collection, with their different forms and the elegance of their lines, result ideally to light any kind of room. 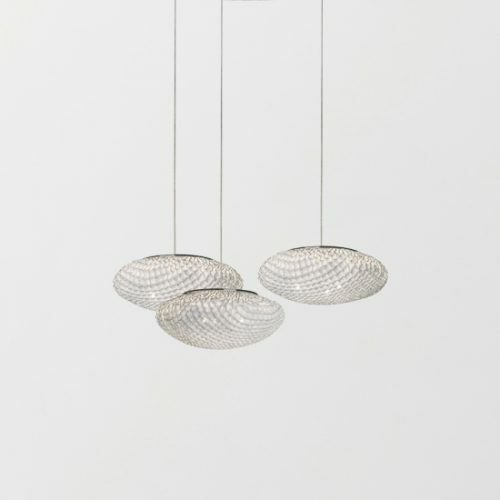 The natural charm of their handmade painted stainless steel mesh volumes is enhanced when they are combined in harmonious large chandeliers. 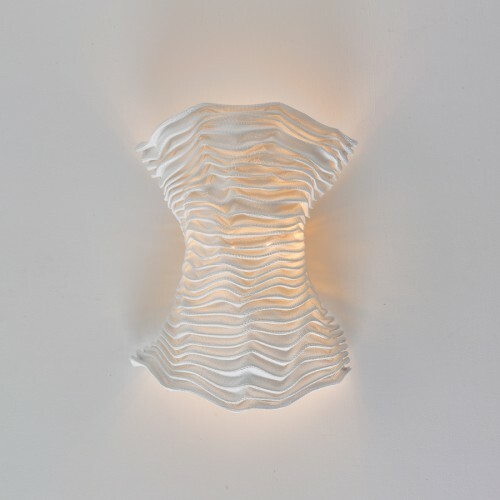 The feminine figure is a constant in the brand’s inspiration sources. 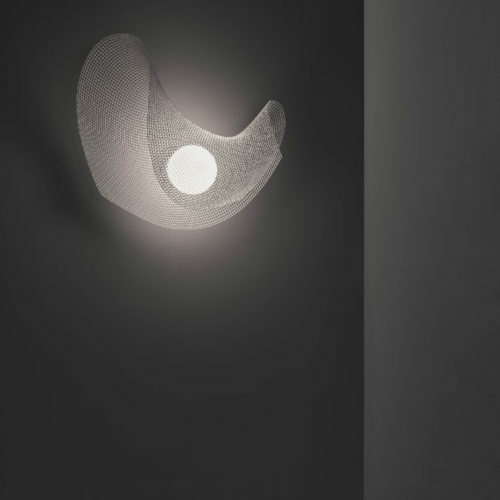 Cors is a wall lamp made of painted stainless steel mesh, scored by many horizontal folds, which sinuously wrap that woman’s body in sophistication and mistery. 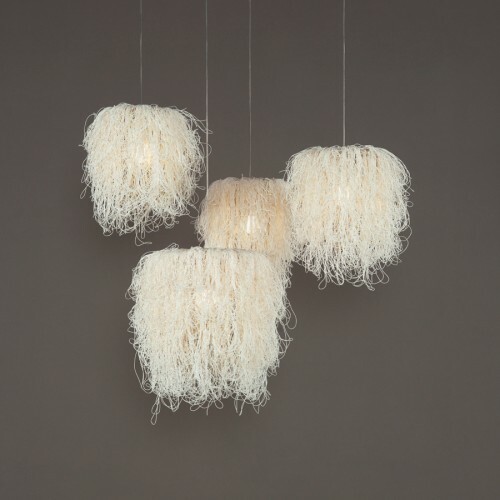 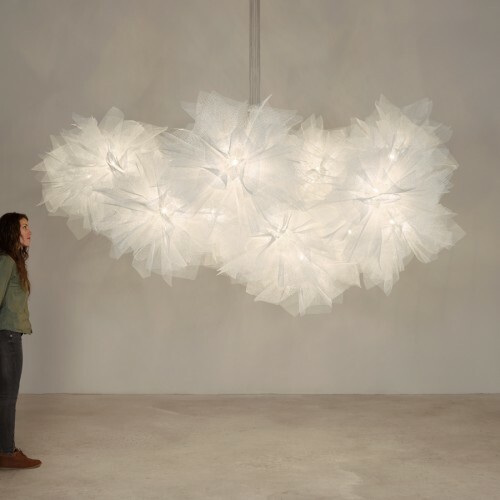 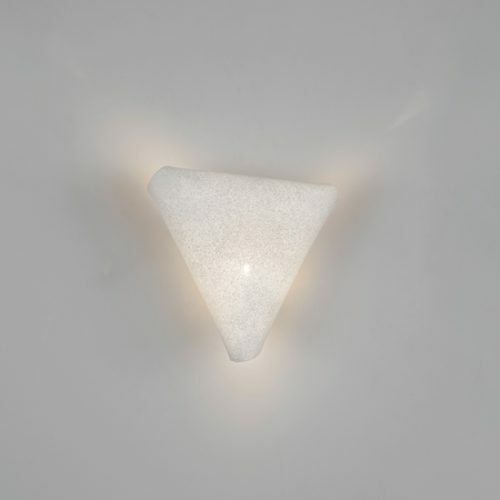 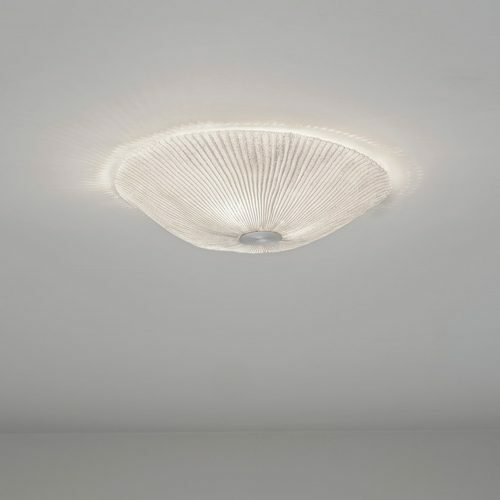 The light it shines is soft and warm, producing a playful subtle provocation for the senses. 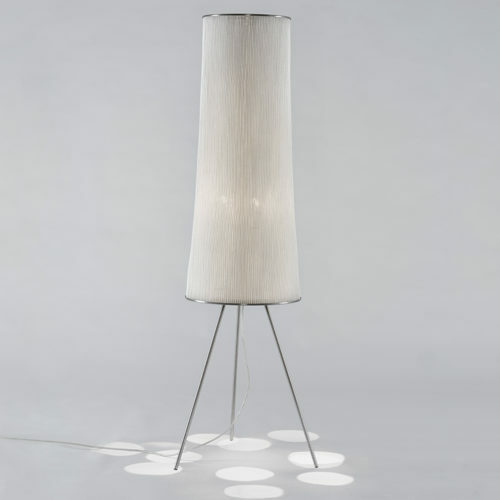 This collection is a complete classic of the firm. 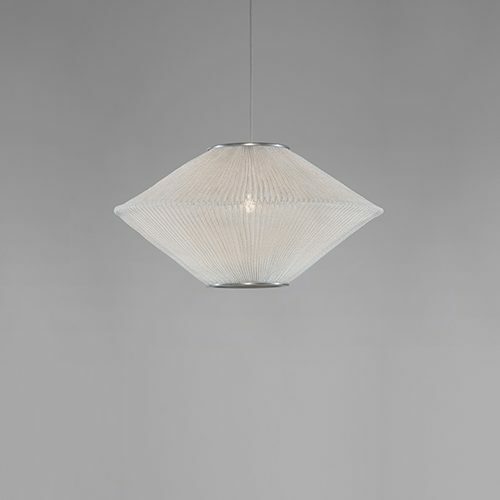 A timeless glass design that sends us back to the beginning of arturo alvarez and their interpretation of the Tiffany technique. 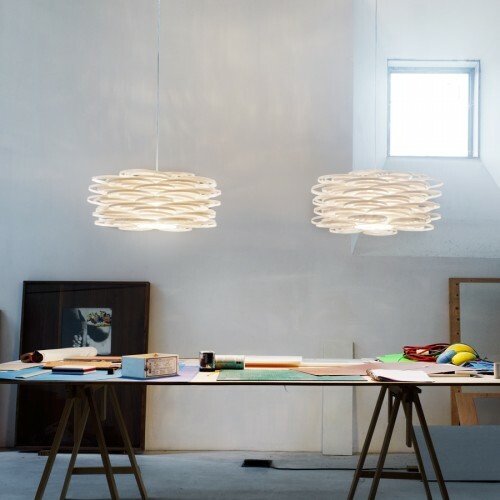 Its circular design is composed by a succession of irregular pieces, perfectly assembled, that denote a movement in their itinerary. 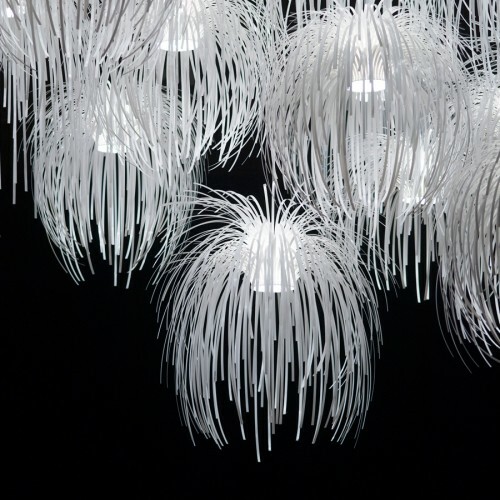 Elegant pendant lamps that reinvent the modern chandelier when they form compositions of several units. 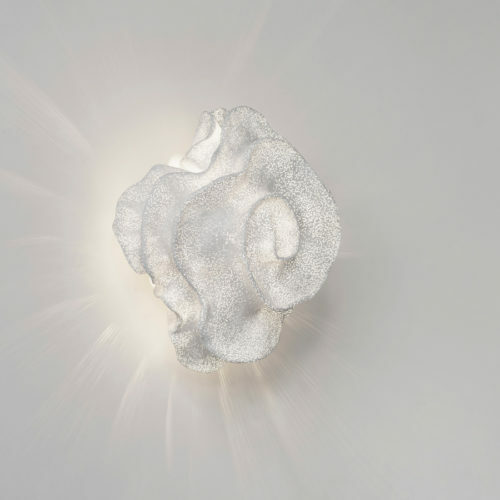 The Gea collection is named after the primitive goddess, mother earth. 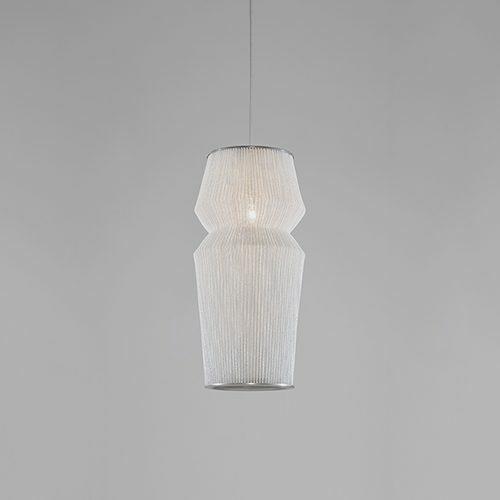 The slender lamps that form it seem to be feminine erected figures that defies their vertical position, wrapped in a fluted veil of painted stainless steel mesh that clings to them through a zip. 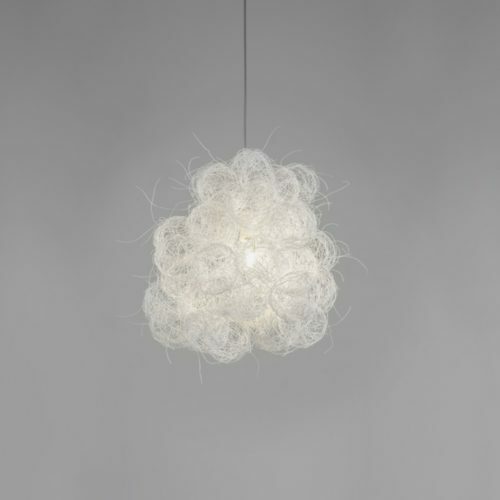 Its light is soft and enveloping, spread uniformly over all its structure. 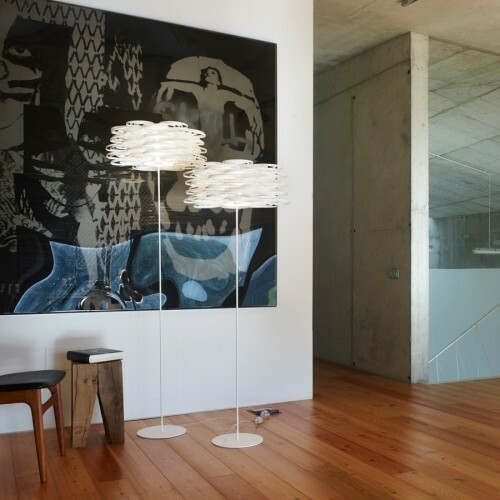 The main piece of the collection, which achieved a Good Design Award in 2007, is the floor lamp, an elegant sculptural volume that blends in any environment, providing a note of distinction to the room. 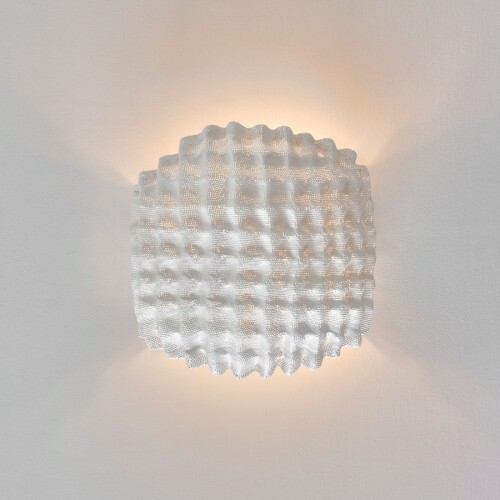 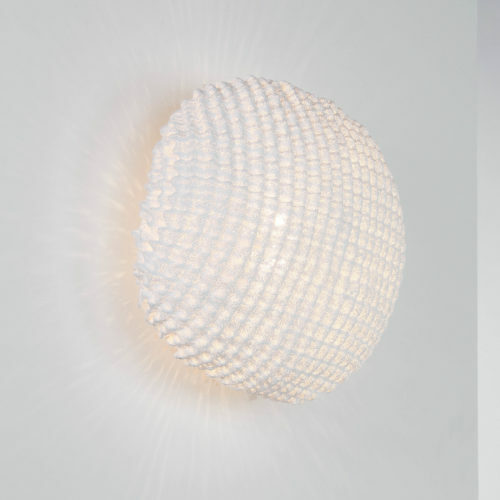 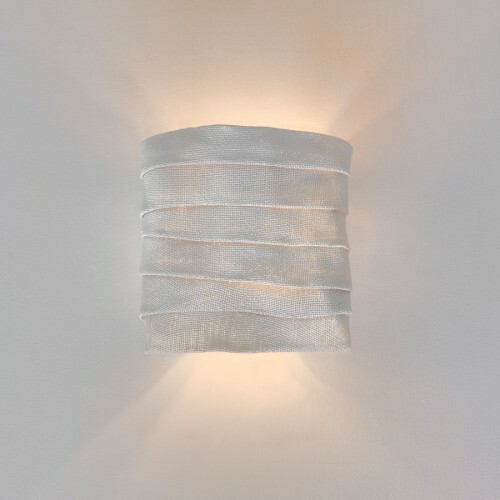 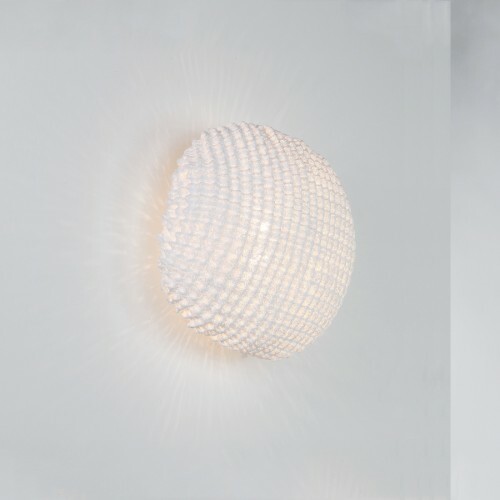 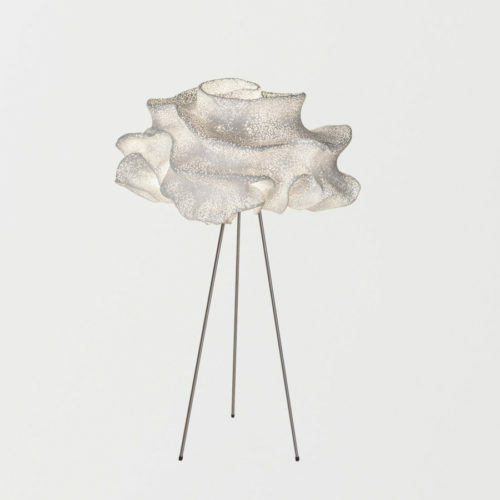 Kala is a delicate handmade wall lamp of painted stainless steel mesh. 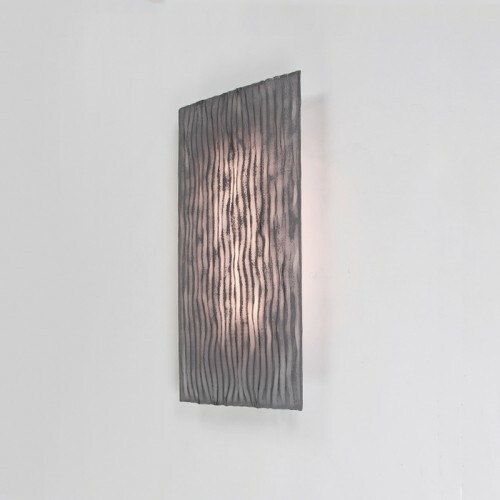 Its irregular volume recall the forever changing drawings in the sand of the big dunes, horizontal lines made by the folding of a material that plays to cover light, allowing its indirection reflection on the wall it is placed on. 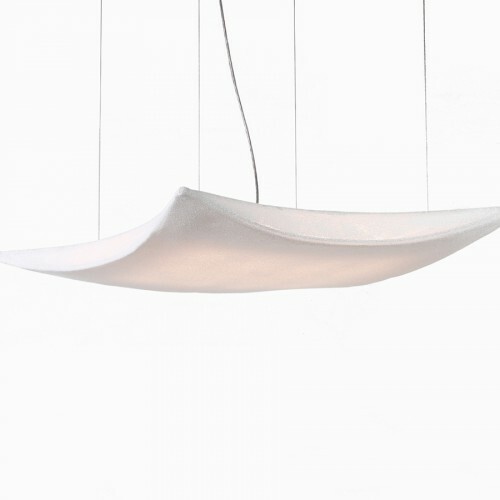 The Kite collection is formed by curved planes that seem to travel through walls and ceilings moved by the wind. 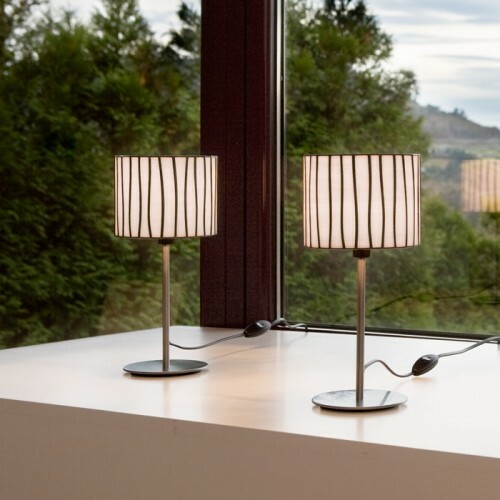 Light lamps in appearance in spite of their large dimensions, thanks to their smooth SIMETECH® covering that re-marks the tension of its lines. 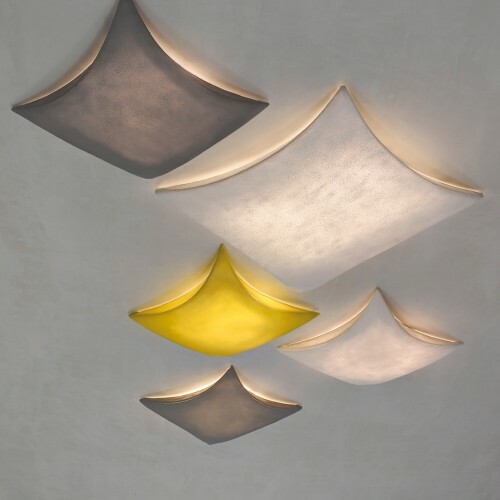 The different sizes its made in permit original compositions, that just like real kites in the sky, fill space with a warm and cheerful light. 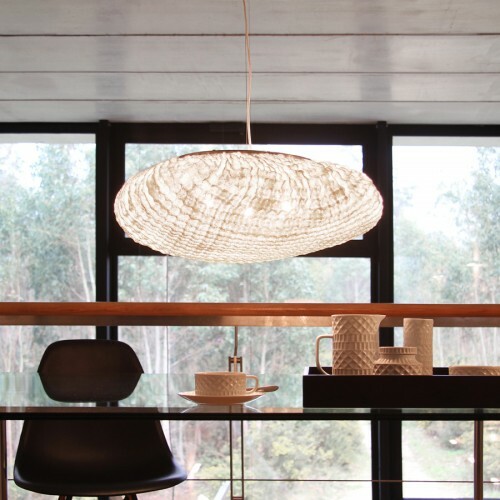 Luisa is an elegant and sophisticated pendant lamp collection formed with overlapped layers of painted stainless steel mesh, that for this design have been crafted preserving their original smooth texture. 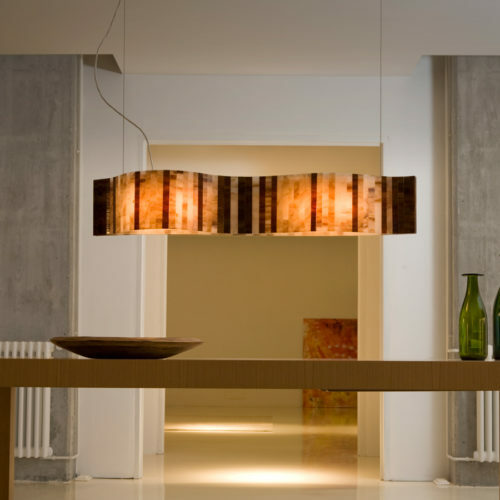 The light that filters through the volumes of the strips is enveloping and pleasant, resulting suitable for several rooms. 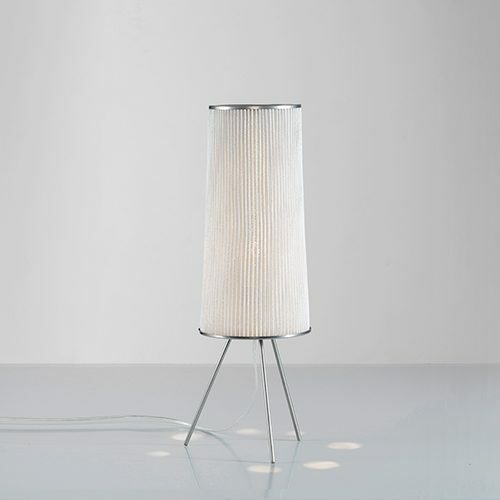 A versatile lamp that is also available in LED technology. 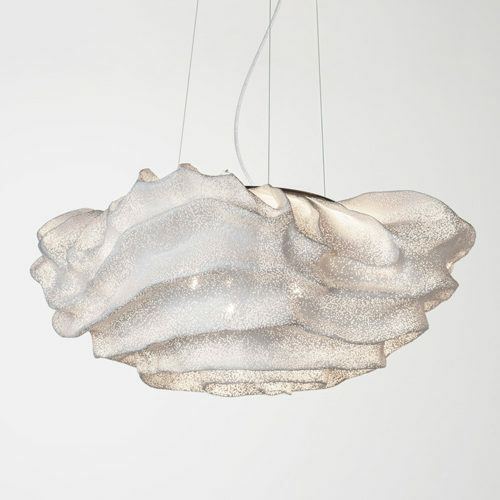 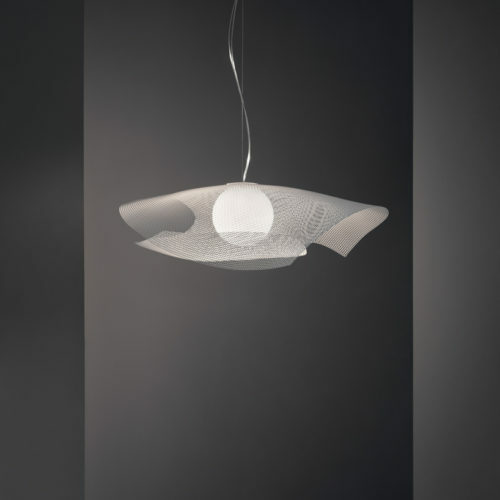 Mytilus is inspired by the seabed in movement, full of life, majestic waves that strongly propel the marine currents. 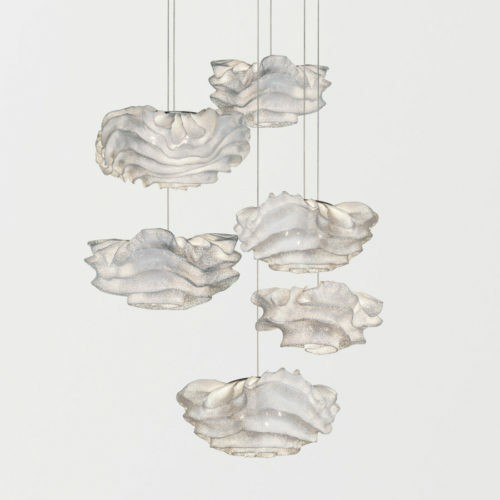 Waves, circular and organic forms, a sinuous world, mysterious and eternal. 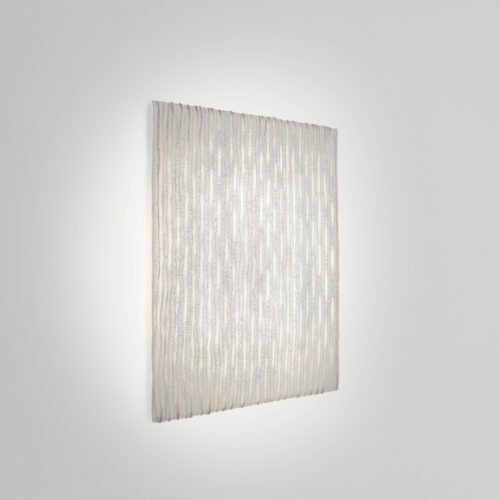 A collection that reflects the extreme malleability of painted stainless steel mesh better than any other. 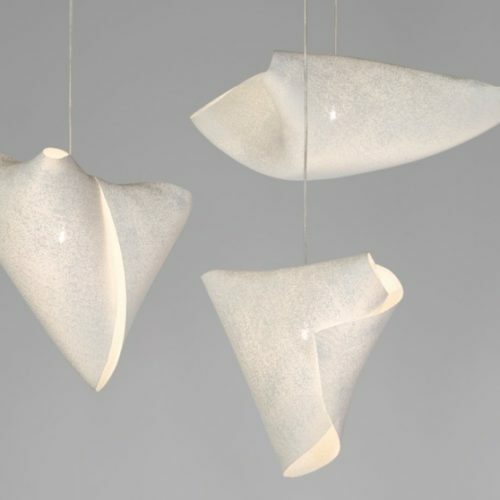 The unrepeated organic forms of the Nevo, with its hand, molded curves, makes every lamp a unique design, different to the rest. 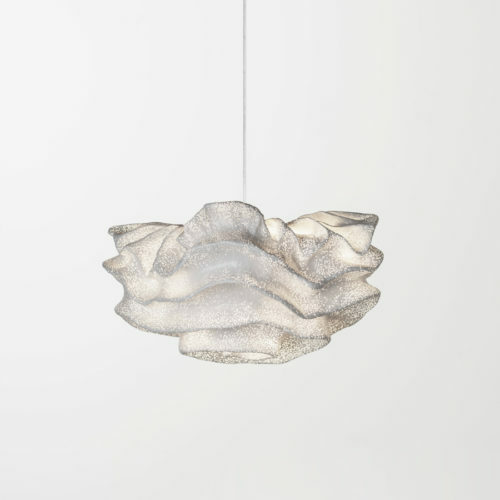 Its volumes seem to be alive, in constant evolution and movement, due to their shape and the folds in which the light plays. 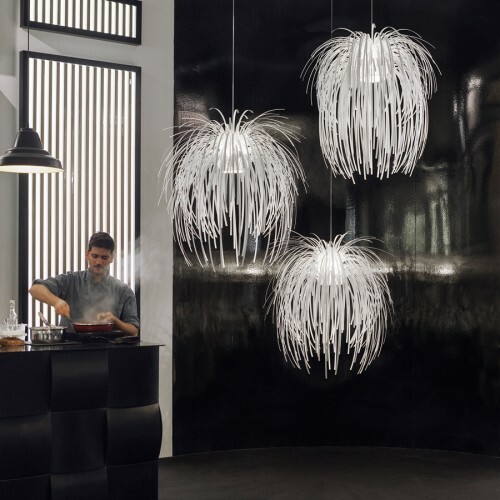 It is one of the largest collections of the firm, including pendant lamps, floor and wall ones, and even chandeliers in cascade. 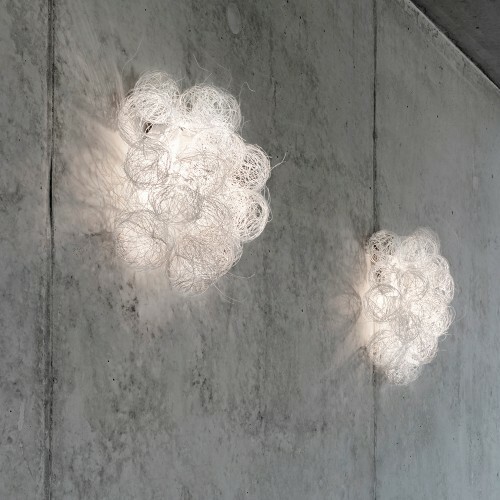 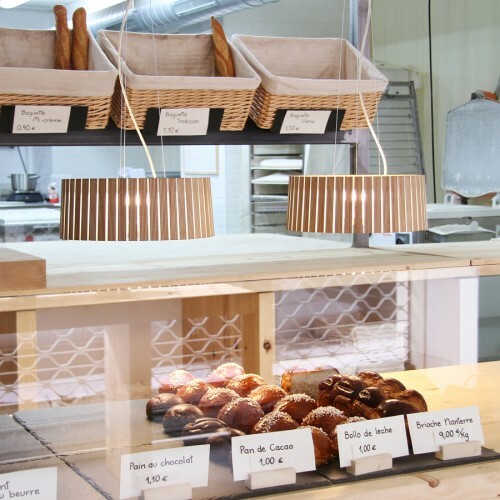 Onn is a collection of fixtures made out of painted stainless steel mesh. 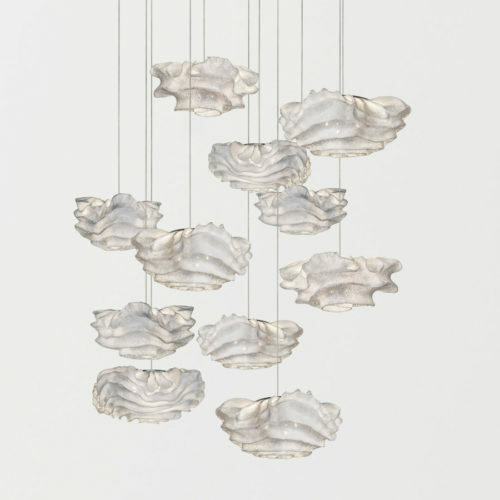 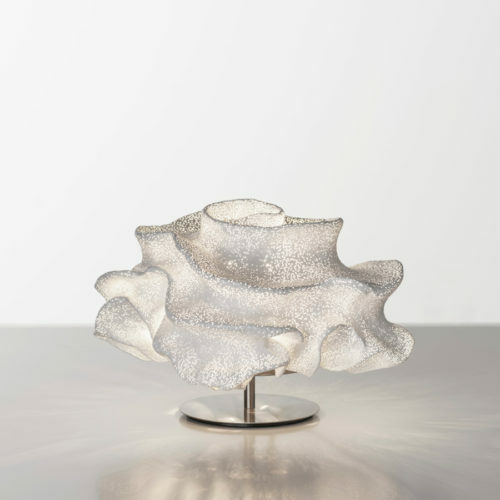 They evoke the sea world: shells, seaweed, and corals emerge with great force, full of dynamism and vitality. 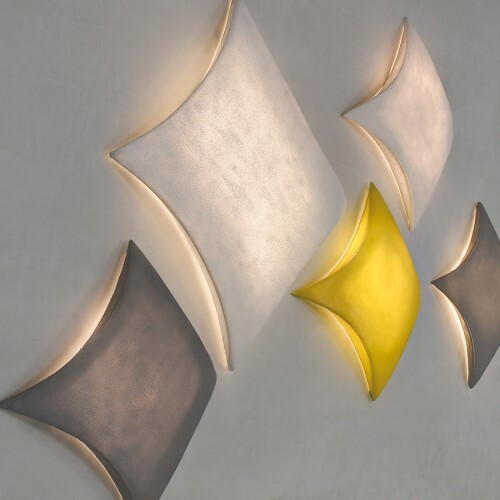 Ideal for walls, tables and ceilings, they allow for interesting compositions through their unusual shapes. 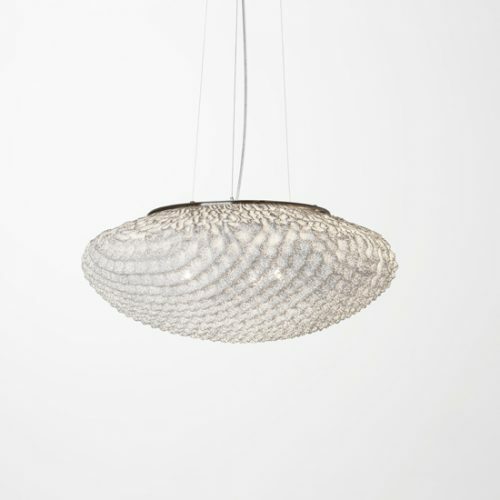 Texture is the main feature of this organic inspired collection made of painted stainless steel mesh. 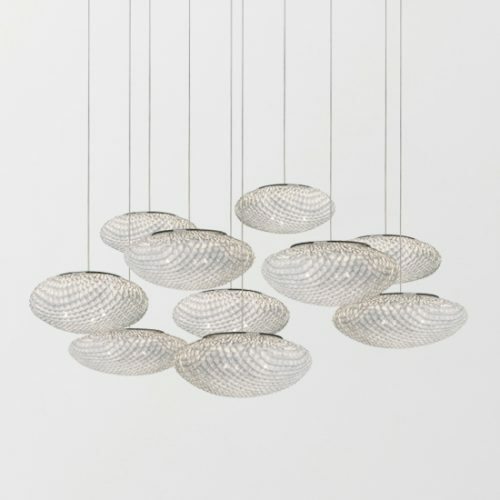 A repetition of small circles that form an irregular rounded carapace, through which the light filters generating beautiful nuances. 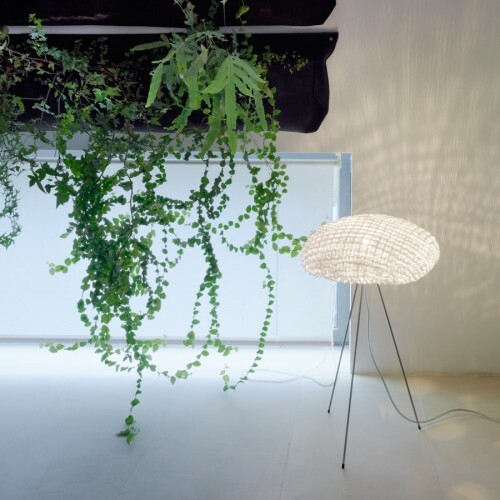 A micro landscape of hills and valleys, lights and shadows, that results harmonious in any of its models, from pendant lamps to wall ones. 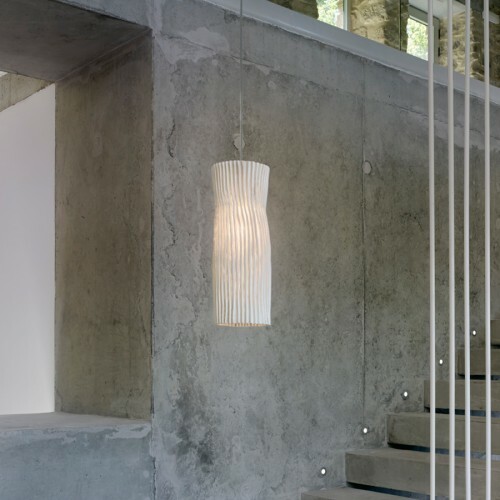 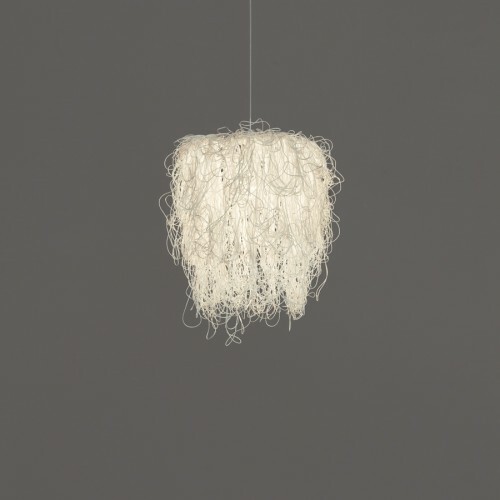 Tempo is a pendant lamp collection made with painted stainless steel mesh. 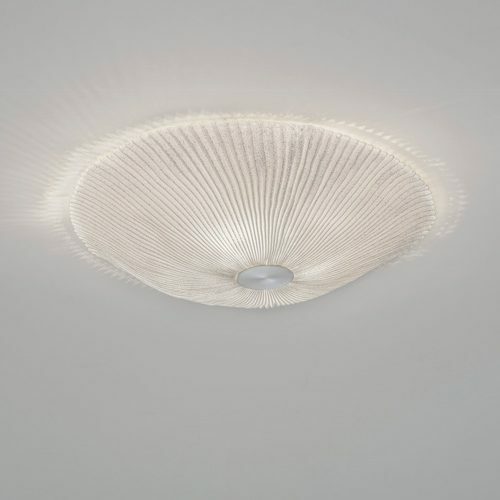 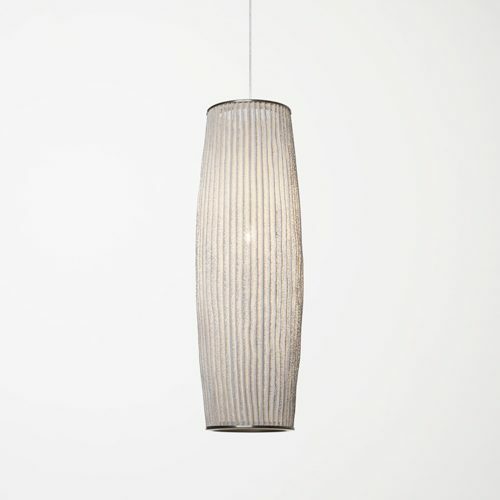 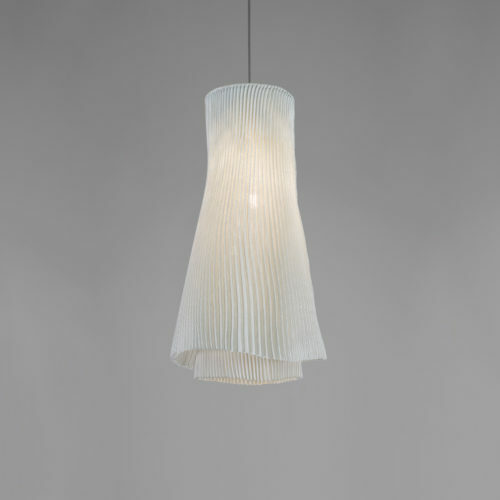 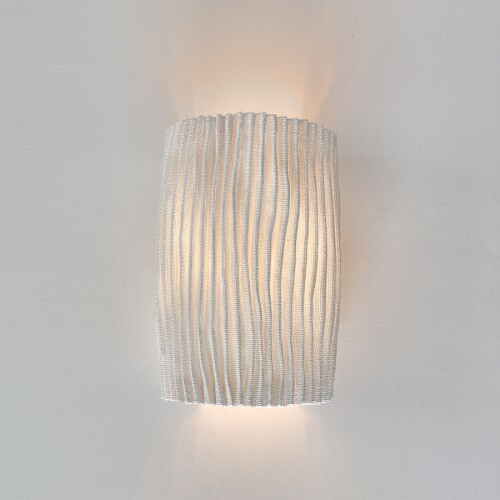 This material, crafted in fine pleats, forms two overlapped layers that create two different lamps full of dynamism. 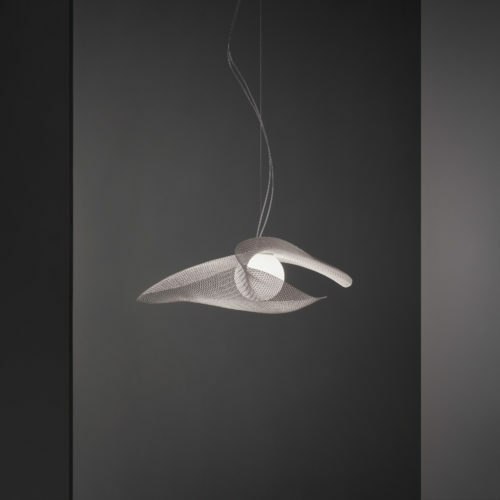 Andante and Vivace, two liveliness shapes born from one. 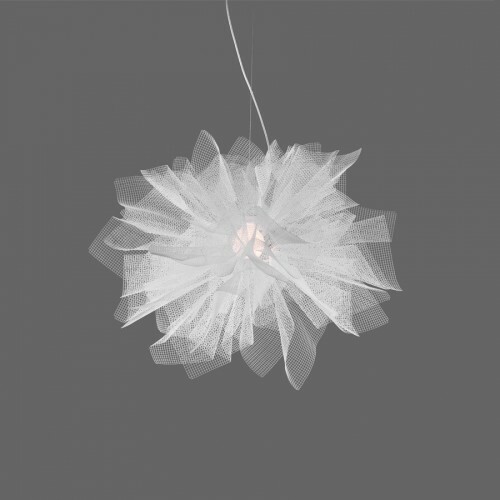 The representation of two instants generated by the same movement at a different tempo. 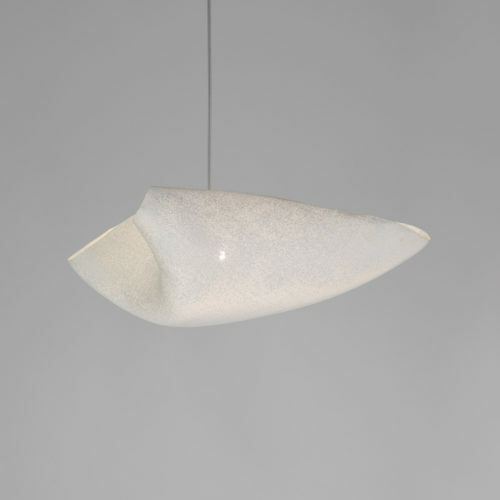 At arturo alvarez’s, experimentation with quotidian materials is constant. 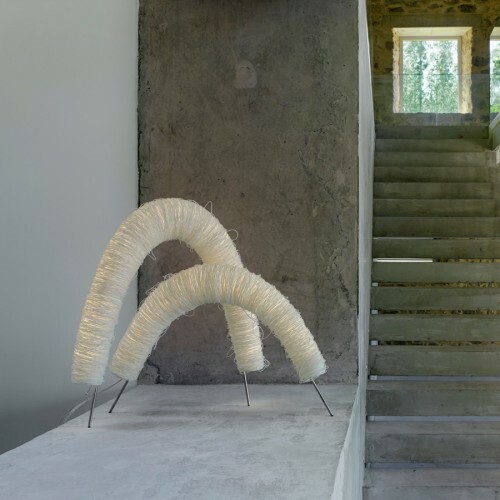 The result of this process, taking them out of their natural context, are some collections like this one, in which polypropylene strips of different sizes are crafted to generate voluminous and vital compositions. 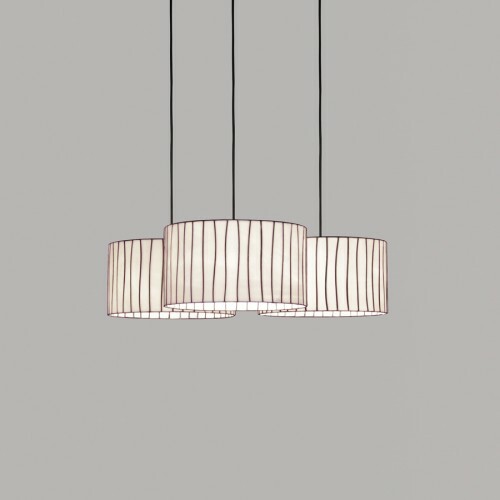 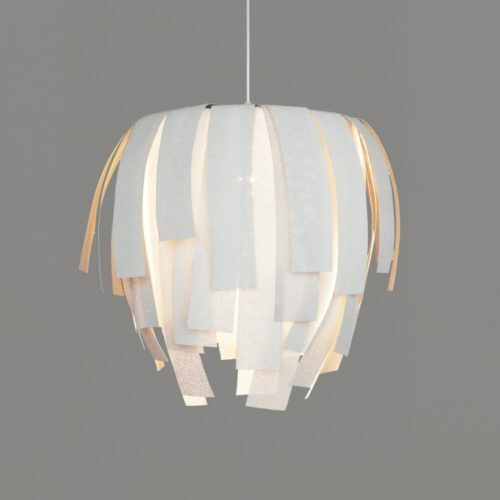 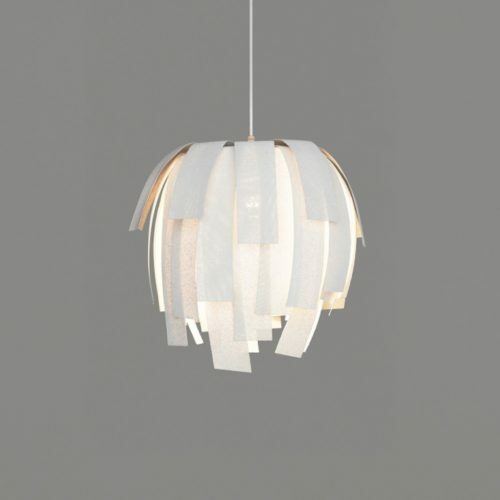 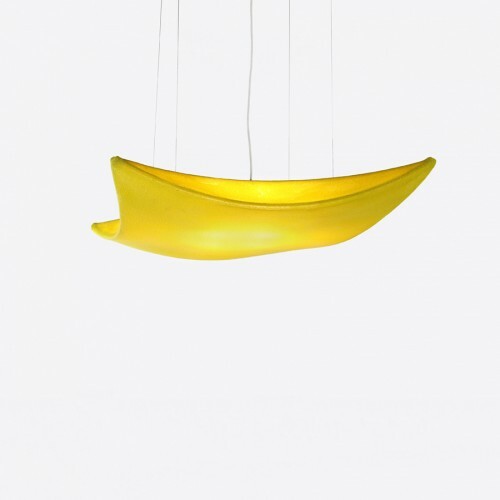 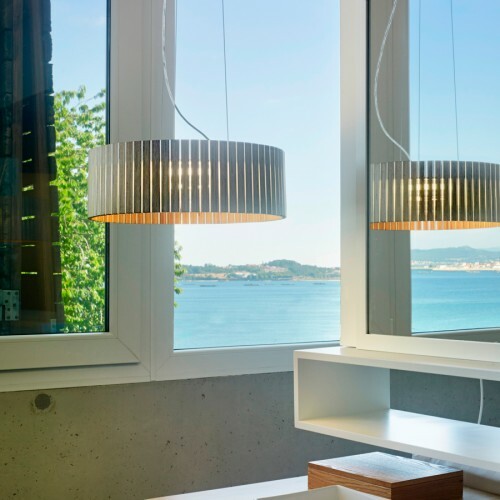 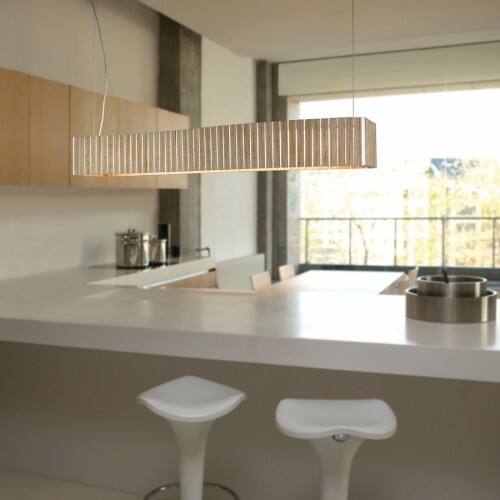 Tina is a pendant lamp of great expression. 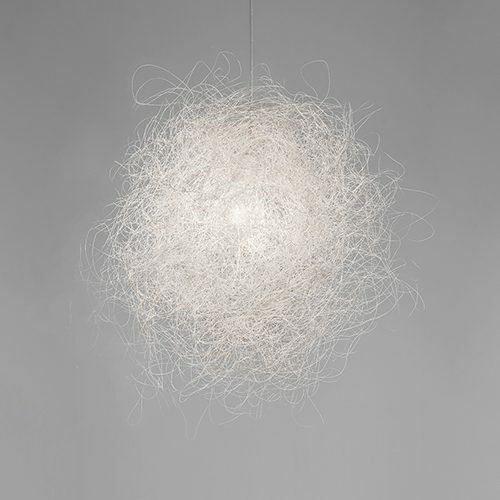 You can feel movement only by looking at it, as the light warmly filters through its layers. 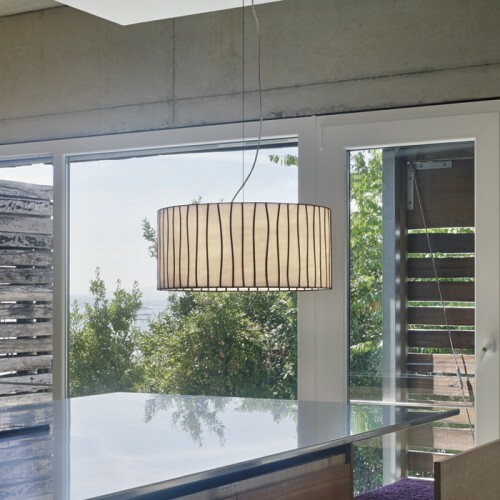 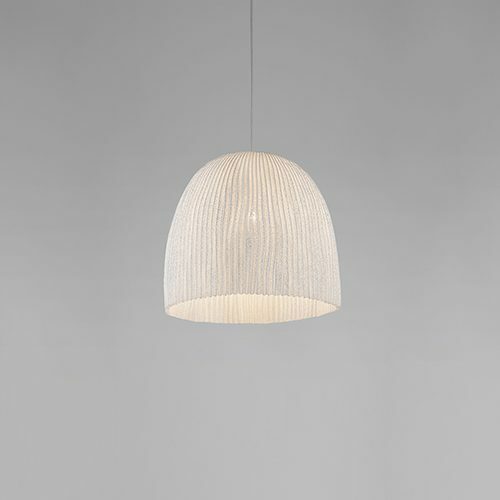 In the pendant lamp Uxi, beauty comes from the warmth of wood and also its sinuous and delicate shape. 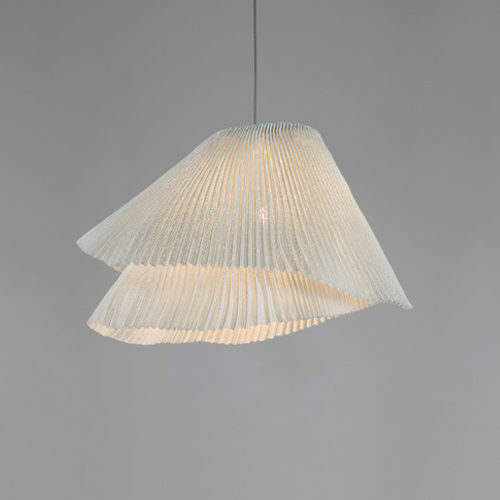 The small marine plywood pieces that form it run across its structure, displaying the beauty of the internal face of the material instead of its surface, allowing light escape between them, giving it a certain sense of sweetness and musicality. 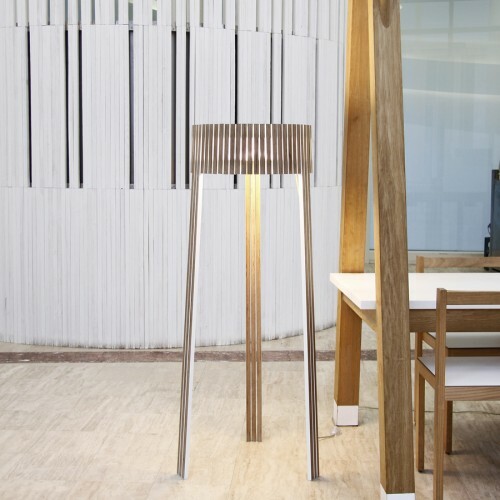 This lamp was designed by Héctor Serrano. 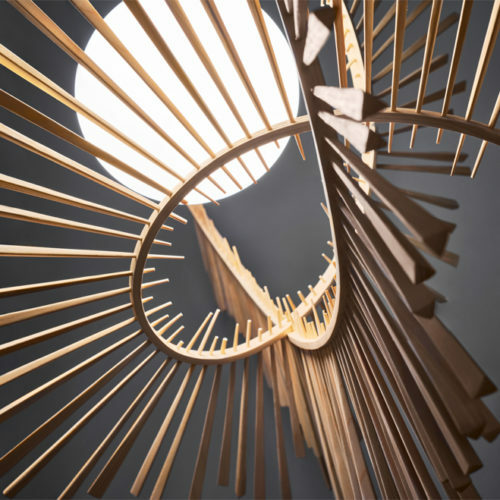 A spatial shape, yet near and tangible, that thrills and inspires a sense of identity through the extraordinary and fantastic. 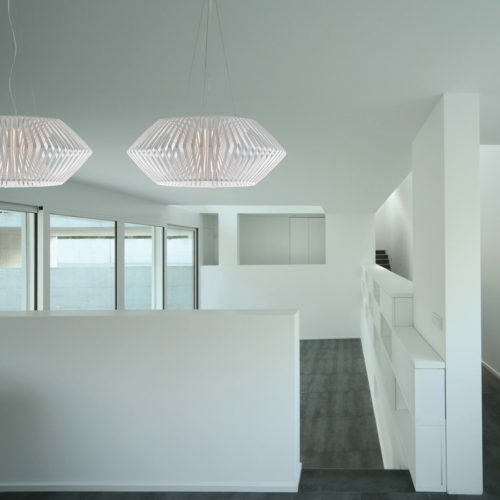 With the help of the plastic injection technology we developed a lighting collection which, through its ribs combined with the geometrical form, immerses us in a world of dreams. 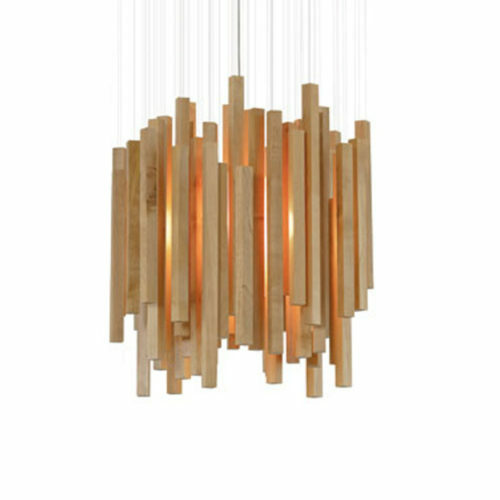 Designed by Héctor Serrano, this pendant lamp made with suspended wood pieces, reproduces the magic of a forest when light flows among its trees. 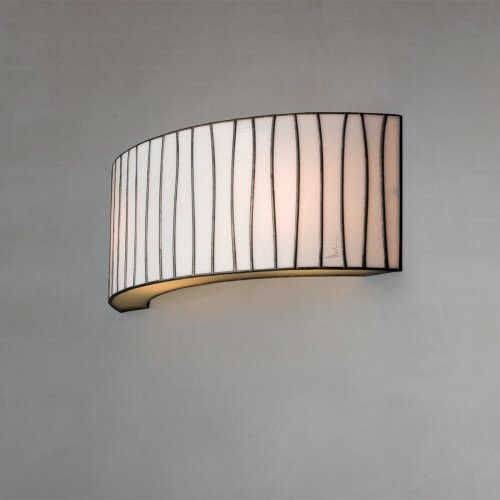 A harmonious group of vertical lines at different heights that produce an enveloping game of lights and shadows. 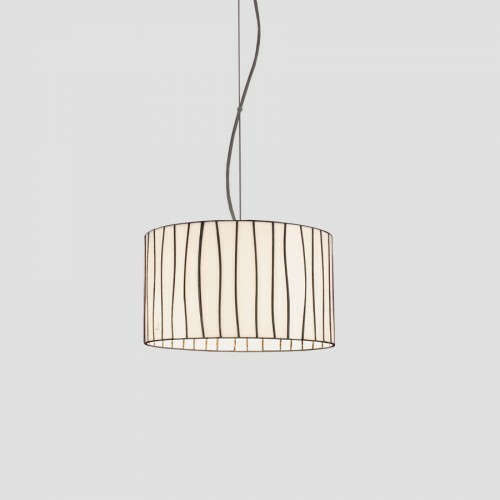 The naturalness of the wood confers this lamp, of restrained lines, elegance and warmth, looking as if it was waiting for the wind in a calm stillness.